Enjoy our classical music recording catalogue dedicated to the little-known or unpublished repertoire of great composers and find out the cultural initiatives and events promoted by our Association. 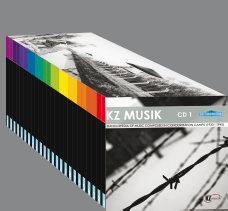 The Encylopaedia KZ MUSIK is the only work that collects music composed in concentration camps all over the world, between 1933 and 1945. Quatuor pour la fin du Temps is one of the most touching pages of the entire work by Messiaen. It was composed in the nazi lager of Goerlitz, where the composer was imprisoned in winter 1940-1941. The work is inspired by the vision of the Angel announcing the end of Time, as narrated at the beginning of the tenth chapter of the Apocalypse of John. The quartet was performed on the 15th of january 1941 in the lager, in front of 5000 prisoners. 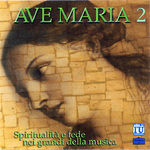 In this cd the work is performed by Francesco Malatesta (violino), Ugo Gennarini (clarinetto), Francesco Sorrentino (violoncello), Cristofer Giorgilli (pianoforte). The typology of the 1800's study was fixed once and for all by Cramer, in Study for the piano (1804-1810). According to Cramer, the study is a quite short piece, founded on a single instrumental scheme, whose prevailing technical aim cannot leave a valid musical content apart (unlike the exercise, that is the mere repetition of a mechanical formula). In the cramerian study the unit in the instrumental scheme (that will be an essential feature of the XIX century study) comes from Bach's model, whereas Domenico Scarlatti was set the example for the virtuous writing. The studies op.740 conform this typology in a strictest way than Cramer's ones. Every study is marked by a title that shows the pedagogical virtue: Clearness in agility (n. 3), Sweet skip and separate (op. 9), Agility in fingers alternation (op. 11) and so on. Czerny made use in order to codify the styles and the existing piano structures, of his ability in writing and his imitation capability. To a core of clementinian studies (like numbers 1, 5, 27, 28, 32, 34, 50), characterized by the powerful sonorousness and by the wide dimensions, were added studies in the more concise Cramer's style (for example nn. 8, 37, 41), whereas Hummel's influence seems to appear in studies like numbers 3, 4, 6, 7, 9, 10, 13, 18, 29 and 30, marked by an elegant and aerial writing. But the studies op. 740 also offer an example of music languages that are out from the didactic kind: echoes from the Magic flute are, for example, in the study n. 11 and numbers 18 and 45 are influenced by a sweetness that is typical in Mendelssohn. Czerny's historical function didn't limit itself to the arrangement of the classical piano building: studies like numbers 2, 31, 36 and 50 already use two or more simultaneous registers for the right hand: a technique that has nothing to do with Clementi's conception or with Beethoven's one (except form some examples), and that will become a feature of Czerny's most famous pupil, Franz Liszt. Boccherini's correspondance qith his publisher, Pleyel in Paris, bears witness to the fact that the Six Piano Quintet op. 56, like the similar series op.57, belong to his period of intense creativity in Madrid. The fact that the score was sent to Paris, also shows that the composer was intent on establishing his reputation there, given that the piano was very much in vogue in the city at the time. We also know, however, that the same Quintest had already been performed in Madrid, in the palace of the Mrquis Benavente, in the version for strings and guitar. This version was something of a private affair and was undoubtedly due to the Marquis' predilection perhaps even his gift for the guitarl. The piano version has the merit of giving us an insights into works which would otherwise have been lost forever. The performance does not trumpet the differences, but rather, as Boccherini hoped, exalts the evrchanging nature of light and shade and of stasis and motion. Spirituality and faith in great musicians work. Music by Donizetti, Mahler, Debussy, Respighi and many more. Second volume in the series distributed by "L'unit�"
"Luci e ombre" 'pass trough spiritual paths in which past and present join inseparably showing the light and the dark side of inwardness'. So runs the preface to the piece for clarinet and guitar, perfect for this entire program. A path strongly influenced by Mediterranean climate, for the soft shades of French elegy, for suspended and incandescent sounds of Queimada and Habanera in Spain, for the magical and bloody Napolitan charm of Tarantella and oriental tones of the TriPartita. In the reference, explicit or only alluded, to neighboring cultural environments, the magic of a symbolic journey and the poetry of a metaphor can live together. Even if Mercadante is mostly known as operas composer, the music of this collections witness not only the peculiar creative potential of the author but also his natural attitude to the instrumental genre. Infact we can place the "Variazioni in fa maggiore" (Variations in Fmajor) and the "Quartetto in mi bemolle maggiore" (quartet in E durmajor) in the composer's youth, whereas the two "Decimini" are part of his late production. 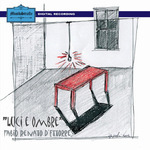 As to the latter - along with their uniqueness asa form in instrumental music - the "Decimino con pianoforte" (the cd'sopening track) is a real rare issue. This cd is part of a Polimnia Ensemble trilogy dedicated to chamber music of great opera composers, along with compositions by Rossini and Donizetti already released with Musikstrasse. This CD is a tribute to the unforgettable italian songs composed by Cesare Andrea Bixio, performed by one of the most famous italian opera singer: the baritone Leo Nucci. The music is arranged for the chamber group"Salotto Ottocento Ensemble" by M� Paolo Marcarini, pianistand conductor of the Ensemble. "Il Tango delle capinere", "Violino Tzigano", "La mia canzone al vento", "Torna piccina", "La Strada nel bosco" and many other melodies including the most famous, Mamma, and the most widely hummed, "Parlami d'Amore Mari�" that entitled this cd. This cd collects violin concerts by Giuseppe Tartini, really important figure within the Italian instrumental schools in the second half of the eighteenth century. Tartini, altough mantaining a high virtuosism, takes distance from the authentic Baroque tradition and anticipates the expressive atmosphere typical of the Classicism. Interpreti veneziani were founded in 1987 by Paolo Cognolato. They played Tartini's work in Venezia and Pirano, performing with a violin that belonged to Tartini himself. Another outstanding Italian pianist, Antonio Bacchelli prematurely died in 1986; in this double CD, he faces Igor Stravinsky's piano complete work. Musikstrasse reissues this beautiful collection, recorded by Maestro Bacchelli back in 1980 at the Auditorium of Radio Montebeni, that has been universally praised since then. 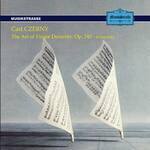 This cd includes four hands piano works by Gaetano Donizetti. The composers' piano music show evidence of a dovetailing of musical entertainment with piano virtuosity. Six Piano Quintet op. 56 belong to the period of Boccherini's intense creativity. Each piece was conceived to stand apart from the others , in terms of overall sound, rhythmic progression and harmonic arrangement, but also because the construction of their internal form is based on something unforseeable, on an elemnt of surprise or on a wilful teasing the imagination. The work are performed by Piero Barbareschi (piano) and by Elisa Quartet.